Psychology Today called Sarah Buel “the country’s sharpest weapon against domestic violence.” She’s not only a clinical professor of law at ASU’s Sandra Day O’Connor College of Law, her list of accolades while working with domestic violence survivors for more than 30 years is a long one, including founding the Harvard Battered Women’s Advocacy Project. But there’s something else that makes her qualified to speak out about domestic violence: She’s also a survivor, enduring a marriage to a man who verbally, psychologically and physically abused her. After escaping, she went on to complete her law degree at Harvard. Buel published a list of 50 barriers that can prevent a survivor from leaving his or her abuser. We highlighted the first 30 in Parts 1, 2, and 3. Read the next 10 reasons and then add your voice to the survey below if any of these barriers have stood in your way. 31. Mentally disabled. If the survivor has a mental disability or a developmental delay, they are particularly vulnerable to the abuser’s manipulation, and more likely to be dependent on him or her for survival, says Buel. Finding a service provider or advocate trained in this area is key to developing a proper safety plan for leaving. 33. No place to go. 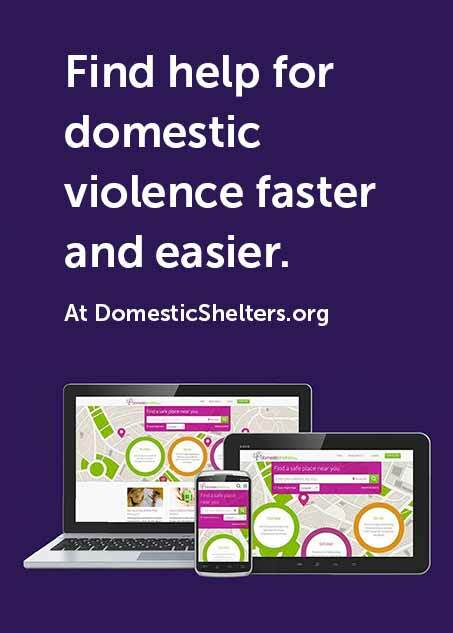 Housing is expensive, shelters are often at capacity and survivors can fear putting friends and family at risk if they stay with them when escaping an abuser. Intensive safety planning is key, says Buel, to ensure the best place to escape to is found and that the abuser will not be able to locate the survivor. 34. No job skills. Survivors with no job experience usually have no choice but to work for a job that pays minimum wage with few, if any medical benefits and little flexibility. If any emergency should arrive, such as a medically related emergency or one related to childcare, the survivor may feel he or she has no other option but to return to their abuser. 35. No knowledge of options. Survivors without awareness of their options in their communities, especially those in rural communities or survivors without access to the internet, may illogically assume no help is available. Buel says she hopes every advocacy group prioritizes getting their message out. 36. Past criminal record. Survivors with a previous criminal record, especially those still on probation, make them vulnerable to a batterer’s threats to comply with his or her demands or be sent back to prison. A criminal record could also prevent a survivor from getting an order of protection. Consult with an advocate for help on navigating the legal system in this case, says Buel. 37. Previous abuse. Sometimes, previous abuse can make a survivor believe he or she is to blame for this repeated treatment when, in reality, abuse is never deserved. 38. Negative experiences with the court system. Survivors who have not found the legal system to be supportive or easy to navigate may have no reason to believe they will find safety there again, which can prevent them from filing for an order of protection or pressing charges. 39. Promises of change. An abuser may sound sincere in his or her promises to change, swearing he or she will never drink, yell or hit the survivor again. Not wanting the marriage or relationship to fail, the survivor wants to believe things will get better, so will give the abuser umpteen chances to change. 40. Religious beliefs and misguided teachings. Such beliefs can lead survivors to think they have to tolerate the abuse to show their adherence to their faith. Furthermore, if the abuser is a priest, rabbi, minister or other high-level member of the faith community, the survivor can feel intimidated by their status and fear the congregation will support the abuser above all else. Editor's Note: See Barriers to Leaving articles Part 1, Part 2, Part 3 and Part 5, or click through the 1-50 list here.